Let’s start by getting back to basics for a second. 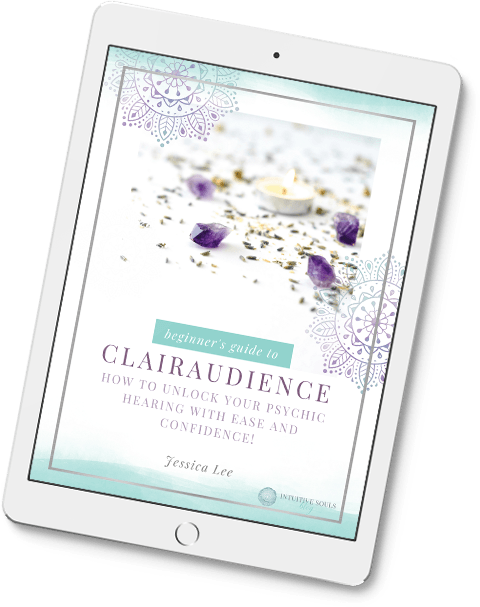 We chat a lot of about developing psychic ability, but there’s a critical step you need to take before whipping out your Zener cards… getting rid of that nasty fear! No matter how jazzed you are about opening your third eye and finally getting in touch with your Higher Self (whoo-hoo! ), it’s natural to have some fear around the subject. With love, I repeat: It’s natural… yep, totally normal to say I’m scared of my psychic abilities! Will my friends think I’ve gone crazy? Do I actually have psychic abilities? What if a bad spirit attaches itself to me or my family? If these concerns sound like you, don’t worry! I was in the same boat when I first started (yes, really), so I know a thing or 100 about being afraid of your psychic gifts. Let’s talk now about how to stop Googling I’m scared of my psychic abilities and start embracing and actually enjoying *gasp! * your psychic awakening. Did you know that we ALL have a spiritual team? These guys and gals are like our spiritual family. They include our Spirit Guides, Ascended Masters, teachers (like Buddha, Jesus, or the other “biggies”), angels, and loved ones in heaven. Your spiritual team is completely ALL loving and they want nothing but the tippy-top best for you. PLUS, it will help you become more intuitive which makes life much more awesome! What I’m saying is that this fear is actually a human fear. It’s fear of the unknown! Think first day of a new job jitters… You’re excited to dive in, but what if they drop a project on your desk that you can’t handle? Or what if no one sits with you at lunch? What if you just can’t figure out how to work the coffee machine? All those worries slowly ease as you realize you’re prepared for those projects, meet your new work BFF, and notice it’s the same Keurig machine that your last office had. Understanding where your fear is coming from will give you the confidence to move forward and not take it as a sign from above to stop. When I first started down this path, I couldn’t help but feel anxious. After all, this was not the life I envisioned for myself or my family! I craved stability, and this was far from it. But with some help from my mentors, I realized that the fear was coming from my ego (my human side and not my spiritual side where our psychic gifts reside), and I was able to overcome it. Trust me, you can, too! Do you remember the first time you did something waaaay outside of your comfort zone? The truth is, once the newness and excitement of developing psychic ability wears off, you might find yourself in the same spot… Wondering what your family will say. Who is going to be upset or angry if they find out I’m working on psychic development? What might a conversation with that person look like? Why do I fear that person? Write out all of these questions and answers out in your journal. If you’ve never journaled before, here is a post to teach you how to get started. Don’t worry, it’s easy. When it comes down to it, our family and friends usually just want what’s best for us. Understanding that tapping into your psychic ability brings you closer to your Higher Self (AKA the part of you that knows exactly why you’re here) may help ease their mind. Plus, don’t forget, you don’t have to broadcast the news that you’re developing your psychic ability right now. Start working on your abilities now, and approach the subject when you’re a little more confident. When you were laying in bed the night before elementary school started, did your parents tell you that you could stay home if you were too nervous? Did they let you hang out in bed until you were comfortable going? No way! Everyone gets a little jittery when they start something new. If we waited until those nerves passed, we would never do ANYTHING! Once you address where the fear is coming from, and think about the loved ones in your life finding out, picture how much better once your life will be once your psychic abilities are developed. Imagine how your life would benefit from you taking the leap and developing your intuitive gifts. By pushing through your fear, you will likely find that the benefits FAR outweigh your fears or reservations about awakening your psychic abilities. If it helps, make a list of all the positive ways your life will change once you finally embrace your gifts! Once you have those concrete benefits, your nerves should ease up a little bit — but don’t rush them to go away fully! Accepting that you may have to make a move a little bit scared allows you to accept and honor where you are right now. Acknowledge the fear, honor the journey, focus on your heart, and take a baby step. Perhaps trying just ONE of these psychic development ideas (whichever one feels good to you), or meditating. 4. Let’s talk about “bad” spirits and energy, shall we? Alright friend, let’s talk about the elephant in the room. I KNOW (because I read the emails that come in) that a lot of people have a fear of bad spirits or bad energy – or bringing something negative into their home. I’m here to tell you that there is no reason to fear anything negative. In real life, mediumship and psychic ability is NOTHING like what you’ve seen in movies. A spirit won’t follow you around with an IV pole asking you to get a message to her Aunt Martha… I promise! And you cannot bring any negative vibes into your life just because you’re psychic, gave an intuitive or mediumship reading, opened your chakras, or chatted with your Spirit Guides. Take the time to learn about energetic vibration. I’m telling ya, it will rock your world in a good way! Read my post about how to keep your vibe high. Watch some videos by Esther Hicks on YouTube (life changing stuff). Understand why you should meditate if you’re opening your intuitive gifts. Oh – and you’ll love this post about why I’m not afraid of spirits. Spending some time absorbing all of the goodness that psychic ability has to offer will give you a fresh and uplifting perspective!